Most people would love to make a bit of extra cash, and a lot of people need to in order to make ends meet. 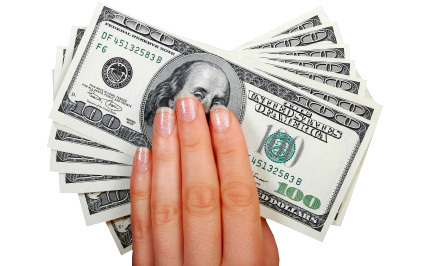 Here we look at easy ways to get an income boost within weeks. Most people would welcome some extra cash in their bank account, and some people very much need to make some extra cash on the side in order to make ends meet. A full time wage doesn’t necessarily cover everything it needs to these days, especially if you live in an expensive area and it is not currently practical to move. It is, of course, possible to get short term loans for small amounts to tide you over if you have an unexpected major expense like a car repair or your heating breaking down but loans are not a good idea to finance your day-to-day costs. So before you start thinking about the options for guarantor loans or payday loans think about how you can boost your income to avoid having to borrow money. There are so many ways you can make money online that this is a perfect way to minimise the amount of money your have to borrow to make ends meet. It will take you time to become comfortable and knowledgeable about the various ways you can earn online, but once you’ve started you’ll soon get addicted to the additional flow of money. The two main ways you can make money are job sites, and through social media presence. With job sites you’ll want to start on People Per Hour, Upwork and Five Squid and have a browse of the different categories, see what people are offering and for how much. On Upwork you have to apply for jobs, but on People Per Hour you can post a listing for an ‘hourlie’ (a job you can do in one hour) for free. You only get charged a percentage of what you get paid. Anything from an online cookery class to writing a 500 word article can be offered up as a job someone will pay for. You can also apply to different jobs as well. With Five Squid you only offer your services for set amounts. If you feel like making money from an online presence then you’re going to need to set up social media accounts, figure out your niche and then do a lot of research on how to make money doing it. This is a longer project, so might not solve immediate needs for a loan but could be something to do on the side whilst you do other direct online paid jobs. Declutter your home and sell some of the stuff you don’t wear or need that is in good condition. Maybe you could do a car boot on a Sunday and make £50 or so just for sitting there, or maybe you could spend a morning listing a few things on Ebay then simply post the items and receive the money. If you want to make money doing this more often, try and get an eye for items that are worth money and do a little buying and selling on in your spare time. If you can spot something on a car boot worth £50 and buy it for 50p, you’re quids in! This is a great alternative to getting a loan to raise some cash and it’s fun. It is also a perfect solution for those who have a poor credit history and could only get loans with no credit check which are bound to be expensive in terms of interest rates. Are you due a raise? It might be that you are actually able to earn more money right now, in the job you are in right now. Maybe you have worked there for 5 years and never received a pay increase. Enquire with somebody in HR you trust, or even ask your line manager or a colleague if there is a potential for a raise and if so how to go about getting it. Imagine if you just had to ask, and instantly got more money every month! Sure you might have to plead your case a little, but it really is minimal effort for such a great return. It may be that you are doing your job wonderfully and getting paid a good wage for it, but you could be doing exactly the same job elsewhere for more. Look at job adverts for your job in other companies and see how they match up. If you see the same job advertised for more money and maybe even better prospects, polish that CV up and make an application! You can instantly make more money in the exactly the same job, you just need to look around. Hopefully you’re feeling really inspired to boost your income right now to make extra cash that will avoid the need to borrow money. With a little research, patience and effort, you could be topping up your income within weeks.